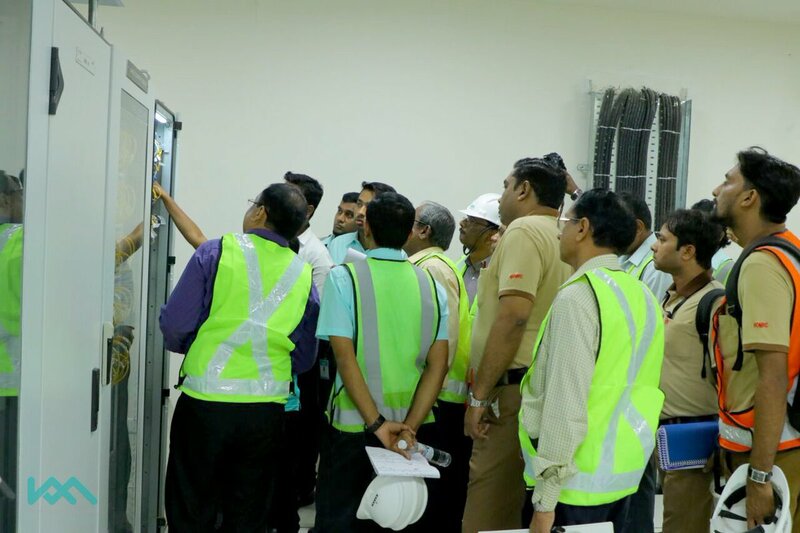 KOCHI: On Monday, the CMRS (Commissioner of Metro Rail Safety) started the final safety inspection along the Palarivattom – Maharaja’s stretch of the Kochi Metro Rail. The inspection began from J.N stadium station. The CMRS team headed by K.M. 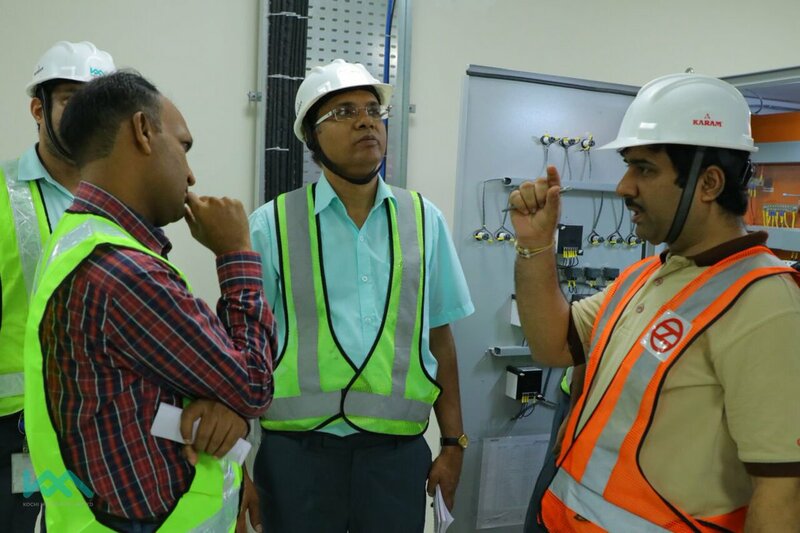 Manoharan did a thorough inspection at the first station on technical & safety aspects as well as on facilities & accessibility for Commuters. 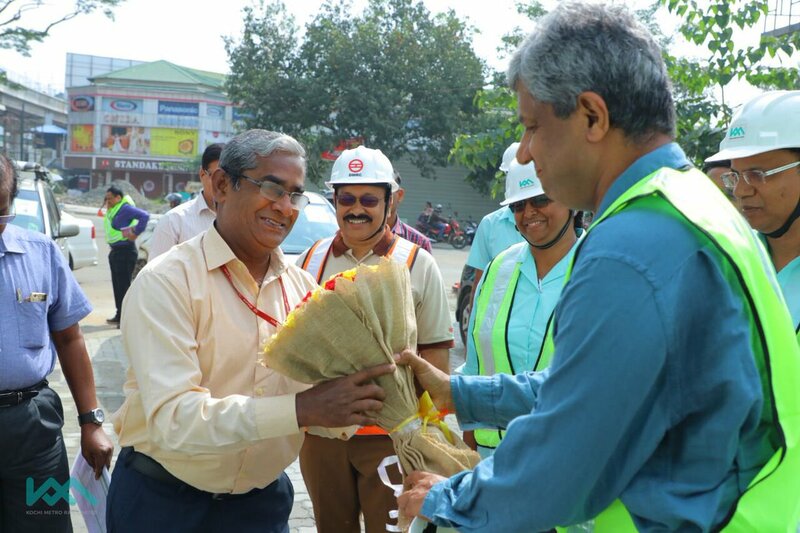 Elias George, Managing Director, KMRL, received the team at JLN stadium station. The team moved to MG Road station, after the inspection of first station. The inspection will continue Today from MG Road & continue through viaduct to Maharajas station. This will be followed by dynamic trials & visit to the operation control centre. The Kochi Metro Rail Limited authorities will open the route for traffic, after receiving the safety clearance. CMRS inspection is crucial as the commercial service can be launched only after getting the safety clearance. Chief Minister Pinarayi Vijayan will commission the stretch on October 3. The KMRL are planning to open the stretch for traffic before the FIFA Under-17 World Cup matches scheduled from October 6. The KMRL expects a significant increase in the number of regular commuters once the stretch is opened. once the stretch commission, 5 new stations will be added to the existing 11.